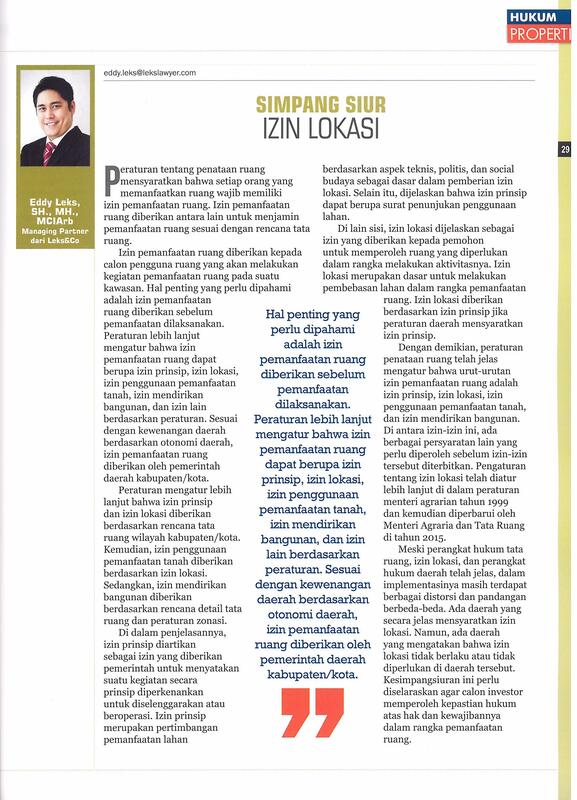 I recently wrote a legal column and published in Property&Bank magazine, titled, "Disorganized Location License" (Simpang Siur Izin Lokasi). The column focuses on difference of interpretation and implementation of location license across various regions in Indonesia. Despite the minister regulation on the definite matter in 2015, some regions adhere to the regulation, some are not even care about it. This creates confusion among the investors, particularly real estate developers and other businessman involved on real estate activities.